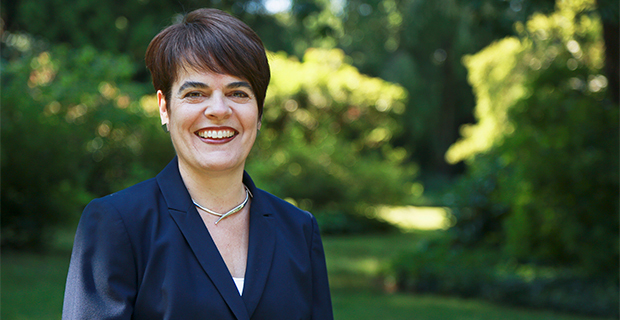 Music historian Katherine Bergeron has been named 11th president of Connecticut College in New London, it was announced this week. Bergeron, a native of Old Lyme, nearby, will take office in January 2014. Until then she will continue as Dean of the College at Brown University, where she has been since 2004. Prior to her appointment at Brown she was on the faculty of the University of California, Berkeley. She graduated Phi Beta Kappa from Wesleyan University (Middletown) and holds the MA and PhD degrees from Cornell. Press release from Connecticut College. Her colleagues in musicology salute President-designate Bergeron and wish her well. We note that she joins at least two other musicologists who have served as college presidents (Leon Botstein, president of Bard College; and Don M. Randel, past president of the University of Chicago, 2000–05, and the Andrew W. Mellon Foundation, 2006–13)—and dozens who serve or have served American arts and letters as academic deans.